Extra sturdy with three panel construction and an extra pocket inside for quick reference materials. 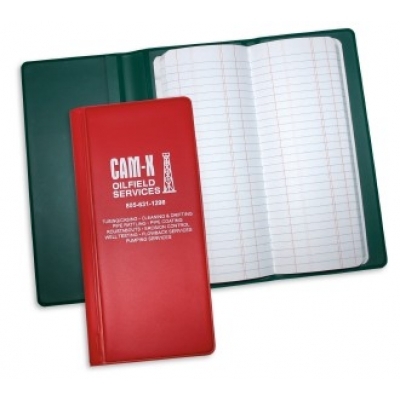 This trifold tally book goes above and beyond when it comes to usefulness on the job. Imprint size: All three sides available for screen printing. Price includes sewn pad, vinyl cover, with 1 color, 1 location hotstamp imprint on the outside front cover.